Everybody loves a good TV show to watch. I try to always have one (or a 100) show that I'm currently watching on hand. 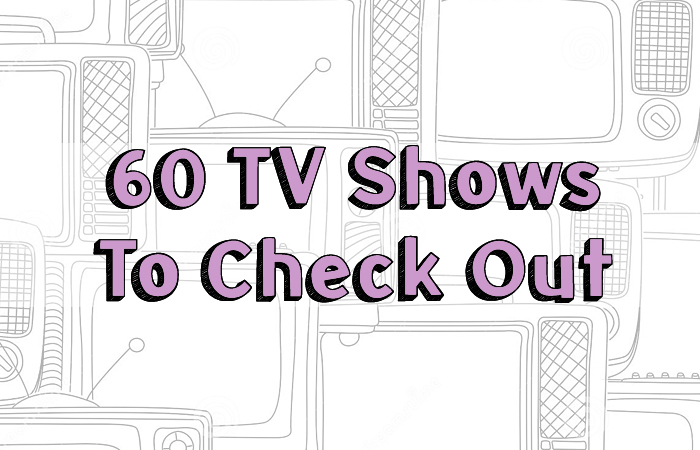 My biggest problem is that I have too many and not enough time...So I thought I'd list 60 TV Shows for you to check out! I kept those who aren't my personal favorites in the list, because everyone's different and maybe my meh is your wow. Have you checked any of them out yet? How many off the list have you watched?